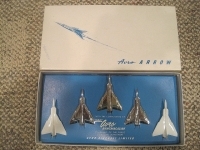 A rare presentation model pin set. Includes one gold, two silver and two white Arrow pins in a presentation box. RL201 One of the rarest Topping models. 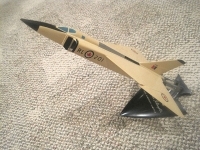 Made in 1957 for Avro dignitaries. A Canadian classic.